Why Are Standing Poses So Important? Most of the time we’re completely unaware of our posture. We don’t stand properly over our feet. We stand with the weight shifted over one leg, or with the knees locked back. Another far too common postural misalignment is for the pelvis tucked under the shoulders rounded forward, and head hanging down and in front of its proper place. My teacher, Anna Delury, used to say this was because sitting at desks or at the computer was causing human de-evolution. 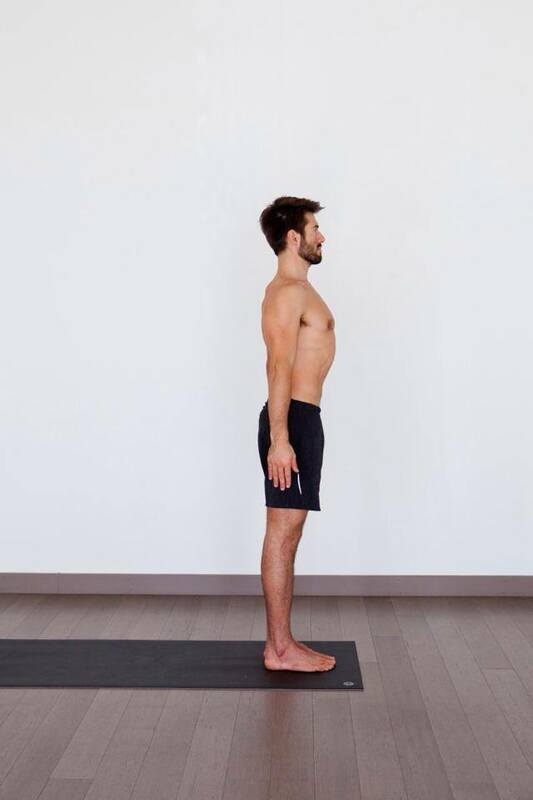 When we practice the standing poses with proper alignment, we can start to change our postural habits by strengthening the core, and the erector spine. We can strengthen the appropriate muscles in the legs, hips, and shoulders and upper back, while opening their antagonist or opposing muscle groups that cause them to tuck or round so that we can stand openly with good posture with ease. BKS Iyengar has a few things to say about practicing Tadasana (mountain pose) and the standing postures properly. “One feels light in the body and the mind acquires agility”. He also suggests that the regular practice will promote spinal elasticity, take away back aches, tone and remove stiffness in the leg muscles. When I first started yoga, I really struggled with the standing poses. It felt so challenging, and sometimes impossible to try to balance and hold myself in these awkward positions. Most of the group classes I would attend would only “flow” through the standing postures, or maybe only hold for a few breaths. So it seemed like I started to become more comfortable and familiar with positions, but I hit a plateau and wasn’t notici ng a significant change in strength and flexibility. We know now that to actually affect the fascia to help the muscles release into their length, a stretch needs to be held longer than 20 seconds. When I started practicing with my teacher, Megan Bello, she encouraged me to practice from the book Light on Yoga in addition to the group classes I was taking. I realized from taking her group classes that I had been practicing the postures improperly for years, and was unaware of the appropriate actions I needed to encourage while in the poses. The classes I used to take they would only describe the shape (often inaccurately) instead of how to perform the shape. I learned from the book that by holding the postures for the suggested time (usually 30 seconds to a minute depending on the pose) my body started to open up in ways I had never could have imagined. Personally speaking, holding these standing poses was the key to gain flexibility and become stronger. For me, the standing poses were the key to more advanced asana. Also having a proper guideline for practice and practicing regularly was a major component. Practicing them daily taught me discipline. Whether I felt like practicing or not, I practiced. I carved out time in the day and made it happen. By sticking with it I started to experience many of the promises Mr. Iyengar had made about practicing these poses. I hadn’t been one to stick with things in the past. I would lose interest in a subject and quickly move on to the next in school, with jobs etc. So through the discipline of practice, I realized the importance of continuing to get on the mat even if I didn’t feel like it. 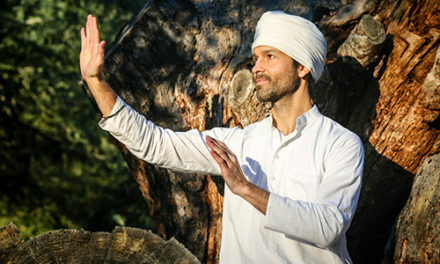 I don’t want to get on negative rants in my blog posts, but so much of modern yoga is putting out a confusing message. Yes, practicing yoga will help you to feel better, but not everything is going to feel good. Warrior 3 feels like hell, but if I practice it right my core gets stronger my posture improves and then I notice my back starts to feel better. The “do what feels good” message isn’t the message of yoga at all. If I only did the poses that I really liked, or the ones that felt good, I wouldn’t have ever been able to experience the freedom in my body that came with sticking with a daily course that I often didn’t feel like doing. So check out this weeks video that comes out on Thursday and see what practicing the standing poses can do for you. Hope it helps to change your practice as much as it changes mine.